Want to introduce a reward system to your class that is both fun and interactive? Studies have shown that using token-based reward systems has real benefits on student motivation, and are a fantastic tool for getting students involved in class. Our starter sets come with a token collector and tokens, so you can immediately get started with the fun and educational benefits that come with a token reward system. 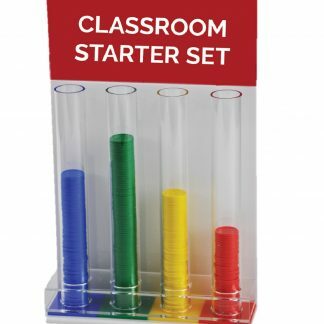 ✅ Free delivery to UK Mainland for the Classroom Starter Set. ❌ Collector Sets exclude VAT.